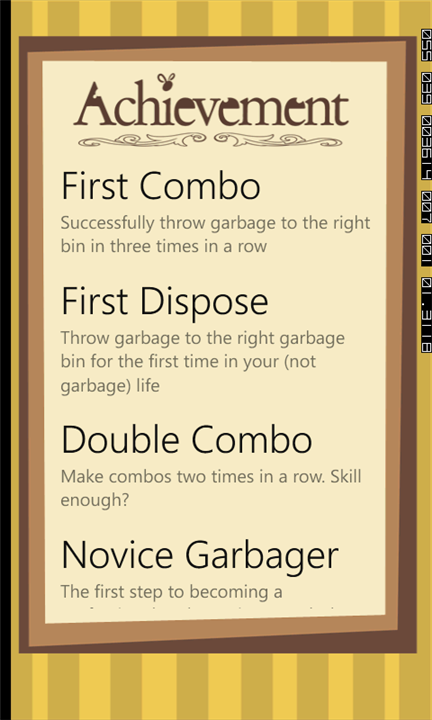 The Garbager is a fun and easy game for your Nokia Lumia Windows Phone 7,5 made by Indonesian Developer. 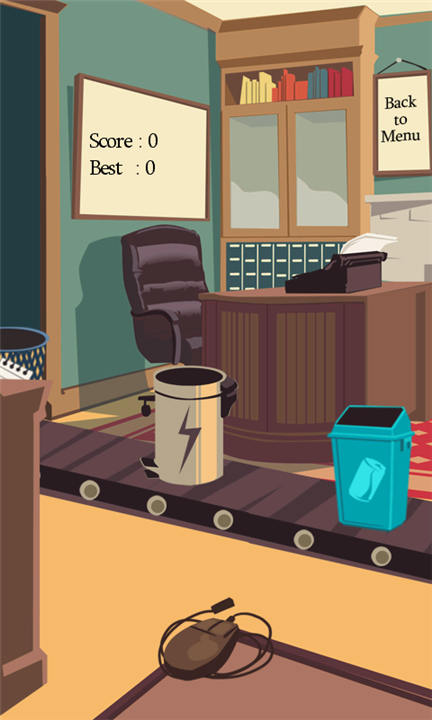 This game comes with good design and also comes with nice user interface. Grab it now for free from Marketplace.
" 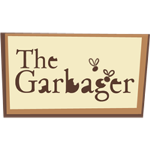 The Garbager is a fun and easy to pick game. 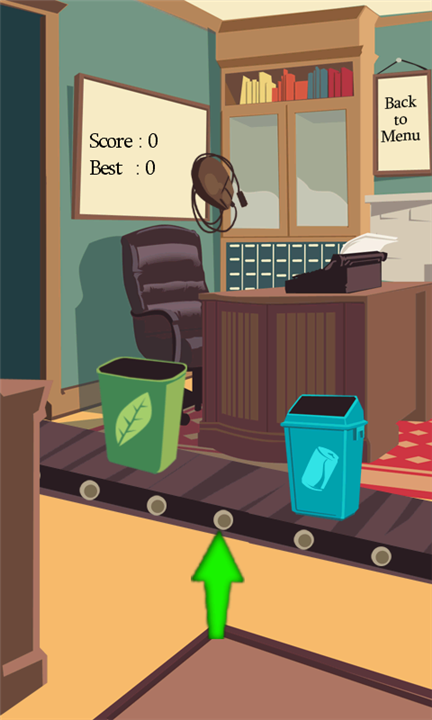 Escape from boredom by picking up trash and throwing them to the right garbage bin. And it actually saves environtments too! " 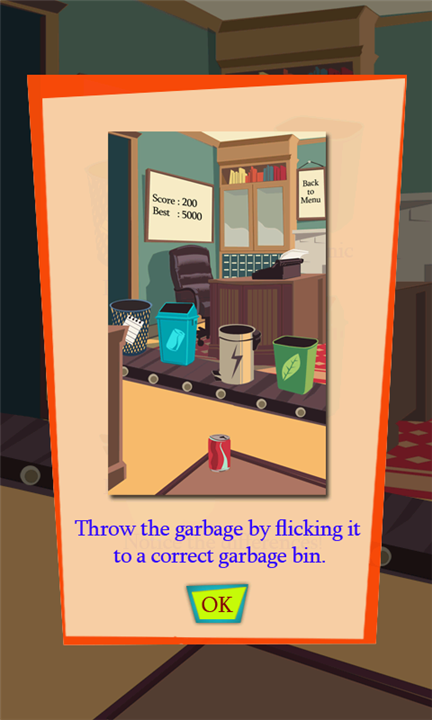 Simply picking up trash and throwing them to the right garbage bin. 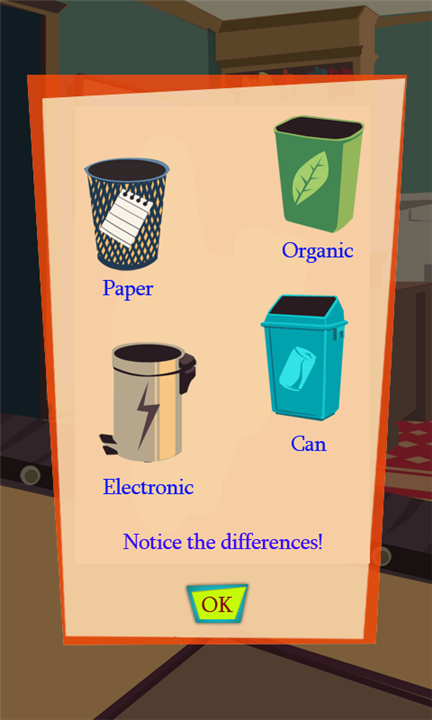 If you throwing the trash to the right garbage bin, you can get your points, if you missed, you will be lose your point. 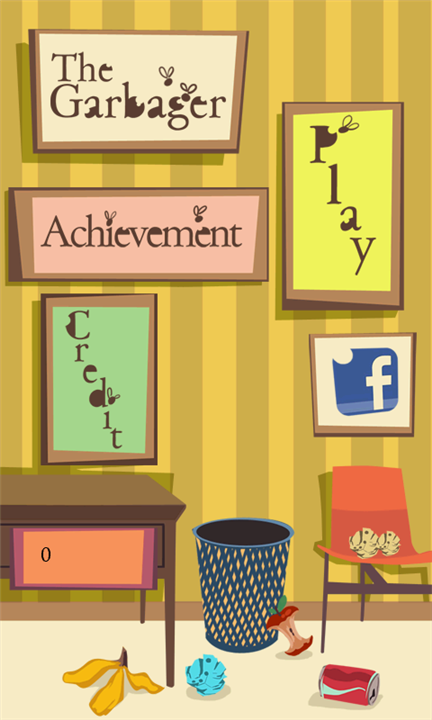 Don't forget to get your achievement by doing some challenges.